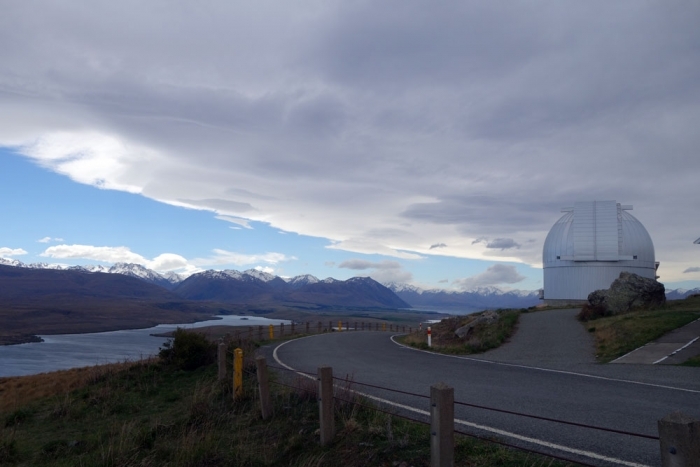 Not our most extreme of days, chilling around Tekapo followed by a night of wrapped up star gazing from our campsite in the dark sky reserve. 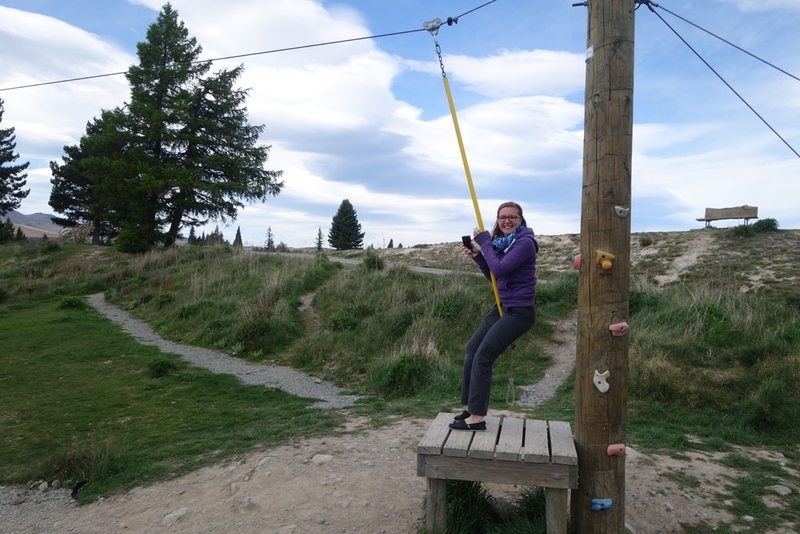 Our day at Tekapo was a bit of a more sedate one; Our drive down from the previous night's campsite was a short one and when we arrived in town there was only a few things we planned to check out. 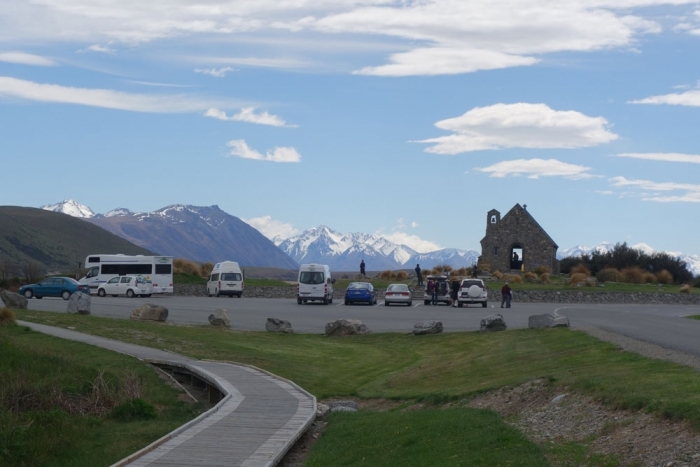 The Church of the Good Shepherd is a really easy scenic shot to grab on your way through Tekapo - literally an amazing view with a pretty chapel for your foreground right beside a car park - and as you can expect, the tour buses bring droves to the place. 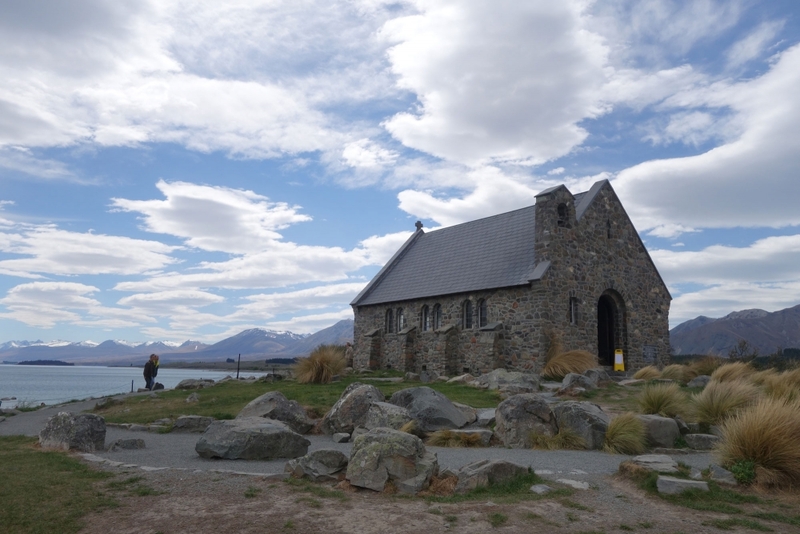 Although we knew of the close carpark, we instead decided to park a bit further away, so we could walk a bit along the coast of Lake Tekapo and see a bit more of the town before we went to the church. The 'town' section we walked through was really a clump of, I would suspect, tourist focussed shops and eateries - there is also a place to throw your rubbish and free public toilets in case those are useful! Heading out to the coast across the grass directly in front of the shops we found a mini zip-line style swing which may give you some amusement too! The church itself is separated from the group of shops by a river which currently means you having to cross over a road and take a pedestrian path across a road bridge which isn't the nicest part of the walk. There were signs up indicating fundraising efforts to build a pedestrian-specific bridge with a partially constructed one already there so possibly this time next year you'll have a nice shiny bridge to walk over! The church to some degree suffers from its popularity; we arrived at a relatively quiet spot between coaches of large tour groups but even then there were plenty of people milling around so it can take a bit of patience to nab a nice shot without having someone else stepping into frame. We actually came back to the church later in the day (just after 4pm) after walking up Mt John and it was much quieter then; You may want to try that yourself if you can't get peace the first time! I don't think we walked Mount John on the best of days - a strong wind and relatively overcast weather coupled with the previous day's long walk meant the uphill walk from just beside the 'Tekapo Springs' spa up to the observatory and cafe at the top of the mountain was a bit of a hard slog. Your view is occluded by trees all the way up and when we finally broke out at the top we almost missed their cover as we took the unsheltered, wind-whipped path around the observatory. The path does render some good views which I would imagine are much better on a nicer day - at one point on the path around the observatory you can look over at two different lakes - Lake Tekapo (glacial water) and Lake Alexandrina (freshwater) - side-by-side, seeing the contrast in their colours. The views over Tekapo are pretty nice too! Windswept, tired and frozen we certainly where happy to finally stumble into the cafe for a rest and a cup of tea. Once we had built up some courage, all we had to do was retrace our steps back down the mountain again! 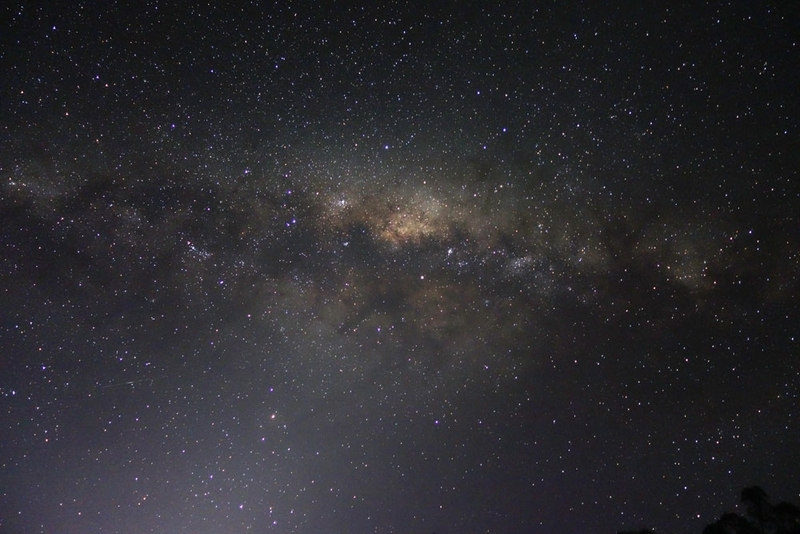 The dark sky reserve is an area with low light pollution and a large amount of clear nights throughout the year which makes it a perfect spot for star gazers. We found a quiet campsite in the reserve, just down the road from Tekapo and, once night had fallen, ventured out, wrapped in as many layers as we could to gaze up at the sky. We didn't stay out for long, but even in that short space of time we saw shooting stars, satellites and got some incredible shots of the milky way, even with my compact camera and tripod.